Attention passengers. We are not delayed because of train traffic ahead of us. There is no sick passenger. Forget the closing doors. We are being held momentarily for 15 months. Please mind the gap between your needs and the state’s ability to provide reliable transportation. Courtesy is contagious. The L train has been a lot of things for a lot of years. Identity merch. Meta reading material. And, especially around the time when the Strokes came into prominence, a kind of cool kid code. But most importantly for the line’s 400,000 daily commuters -- especially those who live off station stops with less brand recognition than Bedford or Lorimer -- the L train is just a way to get from point A to point B. Grumbling about crowds, delays, and other nuisances is easy. Truly, though, you don’t know what you’ve got 'til it’s gone. In April 2019, the MTA train will suspend service between Bedford Avenue and 14th Street/Eighth Avenue for a projected 15 months. Next year? May as well be never!, you say? Tell that to future you. This will come for you, whether you rely on the L or not. Your regular train will become more crowded to accommodate L line orphans. Traffic will worsen due to shuttle busses haunting the route that once was. Your L-dependent coworkers will be cranky; your dating pool will narrow. Still: You’re going to survive. Check back here throughout the year to come for the latest updates on construction plans, transportation alternatives, L-adjacent real estate info, and community updates. On January 3, less than three weeks after his late-night exploratory walking tour of the L train tunnel, Governor Andrew Cuomo announced that a total L train shutdown may not be necessary at all. Instead of suspending service entirely between Bedford Avenue in Brooklyn and 8th Avenue in Manhattan on April 27, Cuomo and a team of engineers recommended a gentler solution that would keep the tunnel open and the L train rolling... more or less. But even with an overhauled plan to maintain semi-functional train service during tunnel repairs, the L Project still hasn’t shaken critics -- among them MTA board members, workers, and, most visibly, New Yorkers. The improvement plans along the L line are necessary, but they’re already grieving folks before the most intense work even begins. In February, toxic fumes along the line sent four MTA employees to the hospital. And in early March, prep work for the repairs kicked up silica-laced dust clouds at Bedford Avenue that, despite being deemed non-hazardous by MTA officials, made riders and workers uneasy. There’s some light at the end of the tunnel drama. Shortly after Cuomo’s last-minute shake-up, Blue Point Brewing Company asked the question on everyone’s mind by announcing a “What the L?” beer, set to hit shelves along the L line starting April 27. The Helles-style lager won’t undo this mess, but it sure as L can’t hurt. What's actually wrong with the L? Blame Hurricane Sandy. When the lethal storm ravaged the city in 2012, the Canarsie Tunnel, which carries the L across the East River, took a serious beating. Some 7,100 feet of the tunnel was left with damaged signals, broken cable ducts, deteriorating switches, and shattered lights -- and that’s in addition to the tubes’ ever-weakening structural support. Without repairs, the line would continue to crumble -- and civilian casualties are a far worse fate than 15 months sans L train. What are the basic reconstruction plans? The MTA has made it clear that the necessary repairs are a massive undertaking: The city will reportedly demolish and reconstruct “approximately 60,000 linear feet of duct banks, 14,400 linear feet of track and track bed, 270,000 linear feet of cable ducts and associated cables, and 7,000 linear feet of concrete lining.” It will also make upgrades to protect the line from future storm damage. But we’re not just looking at track maintenance here. The MTA also plans to revamp the Bedford Avenue and First Avenue stations to better wrangle commuters and to make the platforms more accessible. The stations will get a power substation at Avenue B to better regulate and recharge trains, ultimately allowing more L trains to run. The construction plan, which initially involved a partial shutdown, and later an 18-month total shutdown, is now projected to take a mere 15 months, with a $477 million price tag. 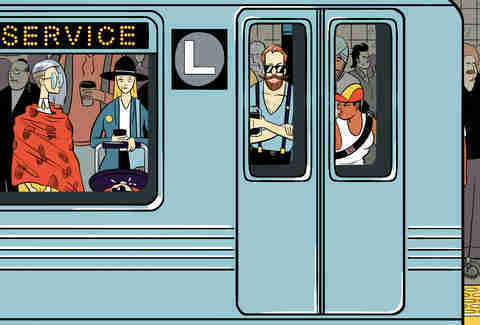 And at the end of all the drama, your L commute will be a more reliable, comfortable affair. Hopefully. "There is definitely precedent for the MTA not fulfilling its promises." Will the L run at all during construction? The L is not disappearing completely -- it’s just halting service at one of its busiest junctions. If you only need the L to travel between Lorimer and Canarsie-Rockaway Park, you can continue life as usual, and scoff at all the frantic commuters to your north. But if you live above Bedford, or anywhere along the line in Manhattan, your L service will cease. What are my definite L train alternatives? You can trek to the nearest J/M/Z station, and cross the river by way of the Williamsburg Bridge. The city plans to increase service on these lines. The NYC ferry will continue to run along its standard route, stopping at Greenpoint Terminal in Greenpoint, and both S10th and N5th streets in Williamsburg, before hitting Wall Street/Pier 11. Your ferry ride will cost the same as a single ride subway fare -- but, unless your destination is near the ferry terminal, expect to pay again to ride the subway once you make landfall. 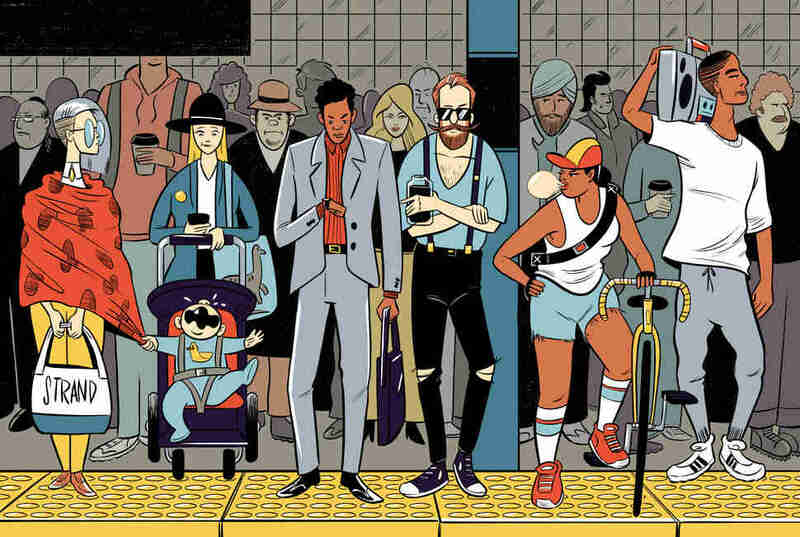 "There are half a million people here trying to commute, and only so much street." Or, if you’re in a transportation desert with nothing to cling to but the G Line (which presumably will double from four cars to eight), your best option is to ride into Queens, transfer to the 7 at Court Square, and coast into Midtown. Not only will you have had the pleasure of touring three separate boroughs in the course of your commute, but you’ll be scorned by the bitter side-eyes from Queens locals who are already dismayed by the state of the 7. Taking the 7 is already a pain for Queens residents -- one the MTA seems to slow to remedy. And with an enormous influx of outer-borough commuters expected to crowd the line even further during the L closure, things are going to get worse before they improve. “7 Train Blues followers often say they have to wait for 2-4 trains to pass before they can even fit on -- that's if the train doesn't skip their stop to stay on its start-to-finish schedule,” Mosley says. We told you this would come for you! What are the proposed alternatives? The city was planning on running a new series of over 200 diesel-fueled buses, with a new route running over the Williamsburg Bridge between Bedford Avenue and downtown Manhattan -- but naturally, folks weren’t stoked about inhaling an extra ton of fossil fuel fumes for a full-on 15 months. Environmentally focused lawmakers and corporations were not having it. “The MTA’s [diesel bus] plan is the equivalent of putting 2,200 additional cars on the road,” Councilman Espinal told Thrillist. “This will burn dirty fossil fuels that contribute to air pollution into our communities, especially the ones in Brooklyn along the L line that already have some of the city’s poorest air quality." MTA Executive Director Ronnie Hakim also pointed out that it would take years to test and roll out a new fleet of street-safe electric buses, which thwarted that option. It was then suggested that a single lane along 14th street in Manhattan and Grand Street in Brooklyn be closed off to private vehicular use in order to create a car-free busway. This busway would allow the volume of buses necessary to carry the L’s pedestrian cargo on a reliable schedule, without causing a barrage of traffic jams in the process. “You can move far more people in buses that have a dedicated space in the street -- and for a full 24 hours a day. All the math clears that,” Transportation Alternatives senior organizer Luke Ohlson told Thrillist. “There are half a million people here trying to commute, and only so much street.” The city has yet to confirm an all-bus street plan. What are the outlandish proposed alternatives? There has been talk of a magical air gondola connecting Brooklyn and Manhattan, similar to the Roosevelt Island Tramway. The Skyway, boldly described on its dedicated website as “the only practical way to increase capacity over the East River by 2019,” would theoretically carry commuters across the river in just five minutes -- without releasing harmful carbon emissions. More recently, a real estate developer/model proposed another L-ternative: a temporary pontoon bridge to shepherd commuters across the East River. The floating bridge, held fast by anchors, would include two lanes for cyclists and pedestrians, and two lanes for bus traffic. A drawbridge would allow boats to pass underneath, and it would supposedly only take six to eight months to build, with a construction cost that would be covered entirely by a $1 toll for users. Next up, perhaps we try a floating sixth borough? How will this affect real estate along the L line? If you’ve made yourself a home in the dead-center of North Williamsburg primarily for the convenience (“MINUTES from Manhattan,” the broker chirped), now is a good time to learn to love other aspects of the area. And whether you rent or own, the temporary removal of the line may do more than simply inconvenience you. It was long debated in conflicting real estate reports whether the L shutdown would ding Williamsburg real estate, and while the market seemed to suffer substantially in 2016, by 2017 the effects seemed to have dwindled. Real estate companies feared that market value of properties along the L would drop while buyers looked to move to new ‘hoods. As it turns out, the cool kids still want to move to Williamsburg -- even if that means biking to work. On the other hand, the impending closure of the L train has forced real estate agents to take a look at expanding into neighborhoods with subtler charms. Not only does the closure serve as an excellent marketing tool for agents attempting to draw their clients beyond Williamsburg, but it may actually give some other neighborhoods a chance to thrive. Where should I move instead? If you’re looking to carry on living in an area rife with 20-somethings, rich with bars, and lined with street art, South Williamsburg is your best bet. Slightly farther off the beaten path, the area offers easy access to the J/M/Z at Marcy Avenue, while summer Smorgasburg remains in walking distance. If you prefer quiet with your trendy boutiques and top-notch restaurants, Greenpoint awaits. 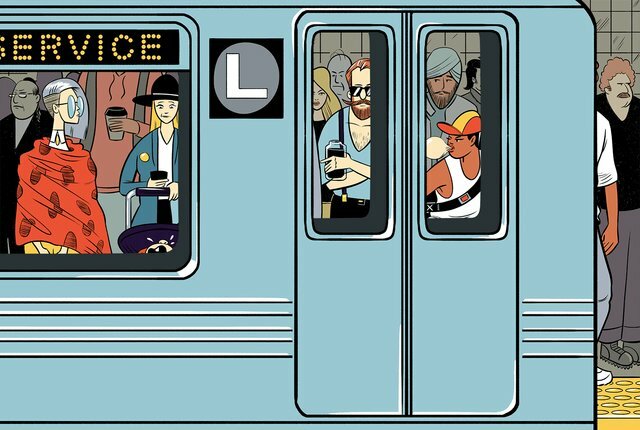 For a little less than Williamsburg prices you’ll get more space, and if you can commute via the G, your ride will be blissfully uncrowded. While Flatbush was once simply the middleman between the exponentially trendier territories of Fort Greene and Boerum Hill, at long last, the surrounding vibes have edged in. More affordable than Williamsburg, the area counts plenty of bars, restaurants, and new high rises. If you can get yourself to work via the B or the Q, it’s a safe bet. The East Village is pricey, but if you look a little deeper into Alphabet City, apartments are almost affordable. We don’t need to tell you the area has plenty to offer -- the EV was kind of a proto-WB, but be prepared for Williamsburg-comparable prices. And for those of you who dare to reside anywhere outside of Brooklyn or Manhattan territory, Sunnyside and Astoria in Queens both offer an easy commute into the city and Brooklyn, without feeling cloistered or sleepy. Mott Haven in the Bronx has lately piqued the interest of realtors for its accessibility and its influx of new food and drink venues. Staten Island is also a place. How will this affect small businesses along the line? In October 2016, the L Train Coalition -- a community-built group of local commuters, business owners, and stakeholders rallying around the issue of the L closure -- released a survey for small businesses stationed along the train line in the hopes of charting how large the impact of the shutdown might be. The results were dismal. According to Andrew Hoan, the CEO of the Brooklyn Chamber of Commerce, more than 40% of the establishments surveyed expected to lose up to half of their business, and according to the overall stats, three of every four employees in these areas commute to work via L train. Half of these businesses also reported that over half of their customers are L riders. That’s an enormous guaranteed loss in profit margin. In areas with a real estate turnover as rapid as Williamsburg and the East Village, 15 months of diminished business can be a death sentence. Four years before Sandy, the Public Advocate’s Office proposed an economic relief plan intended to help small businesses affected by Second Avenue Subway construction. Business owners able to prove substantial financial loss could apply for grants to help them through the downturn. The plan would also allow business owners to petition for tax-free zones as a financial incentive for customers. A bill that would have mitigated financial damage for restaurants, bars, and bodegas along the L line was ultimately vetoed by then-Governor David Paterson. "We will get the transportation we fight for. We shouldn't settle for half measures." While current Governor Andrew Cuomo is confident that the subway is actually improving if you’re “looking very carefully,” business owners are bracing for a starkly different scenario. New Yorkers are exceptional complainers -- the problem is that we don’t typically complain to the right people. Anxious, contemptuous conversation about the L closure makes for excellent bar banter, but it makes for even better chit-chat with your Council Member. Here is a list of Council Members, by district, with phone numbers and email addresses. The more your representatives hear that you aren’t willing to accept some skimpy partial effort for alternative service, the more likely you are to find yourself with a plan that works. Call! Email! Send a carrier pigeon! Just make contact. If you’re looking for active engagement beyond phone calls, you’re eternally welcome to make an appearance at any one of your many local community board meetings, to write a letter, to form a petition, or to spend some time volunteering with the L Train Coalition. Ohlson advises straphangers to check the Transportation Alternatives site for regular updates on grassroots movements, protests, and community gatherings. “Commuters have been organizing and raising their voices about the inconvenience this will cause -- keep up that activism!” Councilman Espinal told Thrillist. “Keep going to town halls, calling your elected representatives and showing up to rallies.” You can start by signing his petition demanding sustainable L train alternatives to show your support. Our relatively new NYC Transit President plans to host occasional Twitter round tables, where you can ask him about so-called signal problems, the shutdown schedule, or his 1980s alternative rock preferences. Follow @NYCTSubway to stay in the loop. Where should I check back for updates? Right here! Bookmark this page; keep it somewhere safe. We’ll update this story every time the MTA releases new information, new dates, and new speculative plans -- and every time brilliant New Yorkers (such as yourself) come up with viable solutions. This is your one-stop shop for all things L. See you on the G, friends. 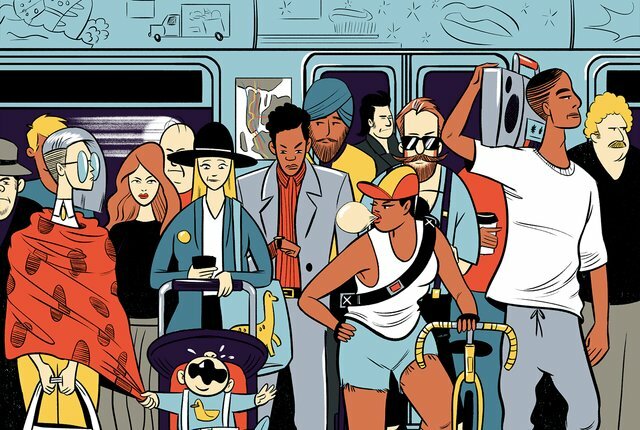 Please share your subway joys and sorrows with us in the comments and on Facebook, Twitter, and Instagram. Believe it or not, Eliza Dumais lives off the L train. Follow her @elizadumais. Kyler Alvord is an editorial assistant on Thrillist's Travel team. Find him on Twitter and Instagram.